Clara Cain, age 96, of Kendallville, died Friday, March 29, 2019 at Hospice Home in Fort Wayne. Mrs. Cain was born in Ohio City, Ohio on July 9, 1922 to Stanley C. and Anna Blanche (Sutton) Stemen. She graduated from Ohio City Liberty High School in 1940 and married John Adrian Cain on October 22, 1949 in Kendallville, Indiana. John preceded her in death on May 31, 2001. 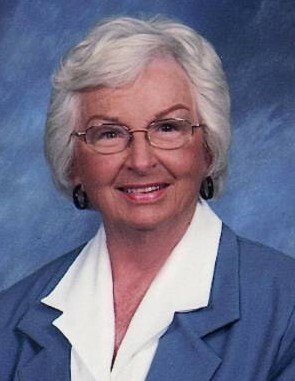 Clara was a homemaker and member of Trinity Church United Methodist in Kendallville. Son, John Cain, Jr. of Port Charlotte, Florida. Daughter, Patricia and Tad Dekko of Edwards, Colorado. Daughter, Melanie and Stan Todd of Angola. Daughter, Candace and Al Somerlott of Columbia City. Six grandchildren: Chase Dekko of Austin, Texas; Paige Dekko of Charlotte, North Carolina; Ryan and Jenna Todd of Fishers, Indiana; Mitchell and Stephanie Todd of Nashville, Tennessee; Brandon Bianski of Memphis, Tennessee; and Joel and Logan Bianski of Ege, Indiana. Eight great grandchildren. Brother, Raymond “Boz” and Mary Stemen of Ohio City, Ohio. Sister, Esther Cowan of Ohio City. Sister, Flora Mae Linton of Ohio City. Sister, Jane Ann and Robert Stemen of Van Wert, Ohio. She was also preceded in death by brothers, Doyle Stemen and Lowell Stemen; and her sister, Mary King. Funeral services will be held Wednesday, April 3, 2019 at 2:00 PM at Hite Funeral Home in Kendallville with Pastor Chris Stephens officiating. Visitation will be also held Wednesday prior to the service from 12:00 noon until 2:00 PM. Burial will follow at Lake View Cemetery with her grandsons as casketbearers. Memorial donations may be made to Trinity Church or Hospice Home.